Spiky Tail Black False Eyelashes by KKCenterHk & a Look! | Sahrish Adeel - Malaysia based Pakistani Beauty & Lifestyle Blogger! Spiky Tail Black False Eyelashes by KKCenterHk & a Look! These eyelashes are from KKCenterHk, by a brand named ES. 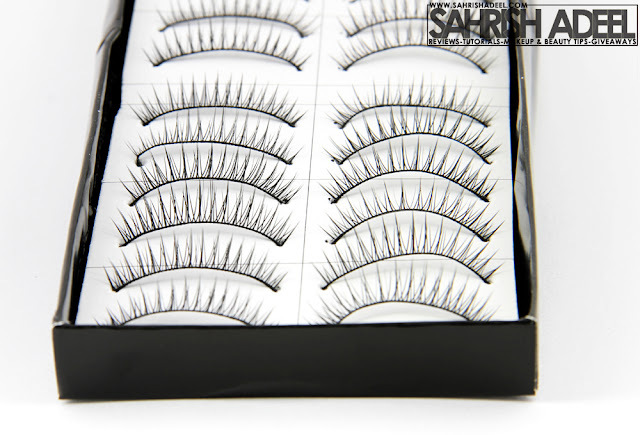 They are called Spiky Tail Black False Eyelashes (ES A880) & they are made in Korea. Eyelash hair have a really good quality. Reusable. I used one pair for about three to four times. Suitable for work or everyday life. Makes your natural eye lashes look fuller and thicker. Box packaging keeps them safe and dust free. I found the band a bit thick. Following is the picture of these eyelashes on my eyes. My real eyelashes have the same length (may be a bit longer) than the false eyelashes so they are not dramatically visible. The band is a bit visible though as I already mentioned that I found it a bit thick for natural looking eyelashes. But the fact that they have almost the same length as of my real lashes, they blends really well and makes my lashes look thicker and fuller. 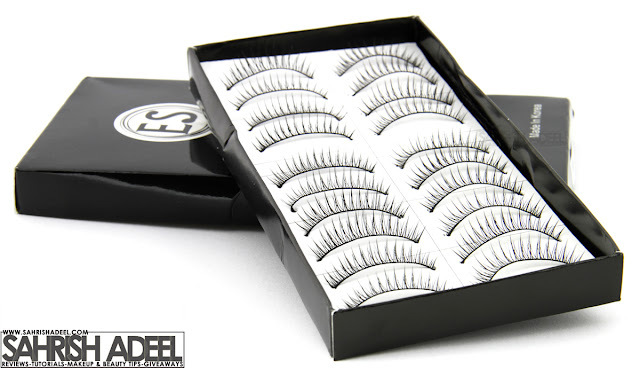 These eyelashes come in a box that contains 10 pairs. You can buy it for $8.00 (Approx RM24) from KKCenterHk. Check out their website here. They ship worldwide. To get a 10% discount on your purchase from KKCenterHk, use coupon code SAHRISH. This coupon code is valid till 31st of January, 2013. Disclaimer: PR sample sent for review. My views are 100% honest like always.